Have you ever had an idea and wondered how to put it into creation? My guest Lisa Bearnson has mastered this concept and as a result is a massively successful businesswoman who has created millions in revenue. She shows us how to take that idea and turn it into something magnificent. She has been featured on the Oprah show many times along with being on QVC for several years. If you want business and life guidance- this is your girl. Along the way- Lisa talks about her own "failures" and balancing work and life and family. She is a beautiful soul that will help you reach the next level in your life. Have you ever wondered how successful women do it? Do you ever wonder if you have that something special? As I have considered all of the incredible women that I have interviewed, met with over the past decade, I have realized that there are common themes that dictate whether a woman finds success in life. The good news? All of these things can be learned. All of these things can be received by anyone that has a desire to improve their lives. Ready to learn the secrets? Don't miss this episode! Lisa seems to be one of those women that has it all. She is beautiful, confident, a regular on TV and has a successful business with her incredibly supportive husband that she calls "handsome". So it is surprising to hear her tell her story of self-sabotage and self-hatred that consumed her life for three decades. Her healing started after attending her first personal conference featuring the fabulous Tony Robbins. Through years of training, she became a platinum partner with Tony and has developed her own program called, "Fine to Fab". 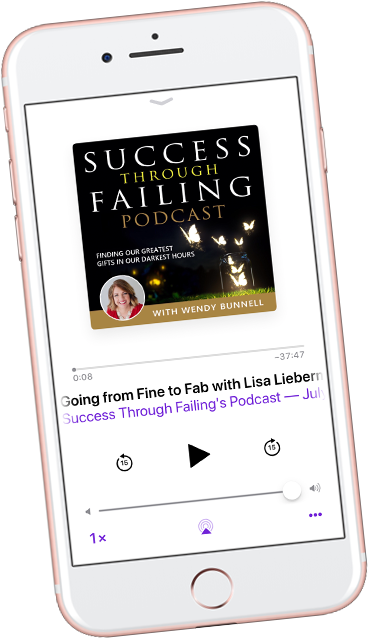 Lisa sheds light on what she discovered after 25 years of training and working on her own mindset and investing over 1 million dollars to do so. Want to know what the secret is that she learned? Tune in to find out!